Hit Path is state of the art technology that has been designed with client needs in mind. 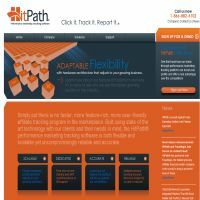 A truly flexible solution, Hit Path is priced (and sold) based on the specific needs of your organization – in effect, you only pay to install and use the features you think will actually help improve your sales and turnover. What’s more, because you can ‘unlock’ additional features, capabilities and capacity at a later date based on your needs, Hit Path is also an ultimately scalable solution. The real buzzword here, though, is quality – it’s obvious that everything included in this software is done well, and customer testimonials certainly suggest that users are pretty happy with what’s on offer. There are two elements of Hit Path that we think deserve particular consideration. First, is the way in which Hit Path integrates with existing processes to produce a great overall solution to your affiliate marketing needs. Hit Path advertises itself as the closest thing to an in-house solution iyou can possibly to achieve, without the expense and difficulty of internal maintenance. Indeed, the service allows customers to use skinned, branded affiliate interfaces that match the look and feel of a client’s website – helping to create a tailored, ‘in-house’ look without the increased cost and difficulty. Secondly, the analytics tools on offer with Hit Path are great quality and really help to provide users with all of the information they need (and in a useful, accessible way) to make decisions about the future of a program. Of particular note are the earnings and commission forecasts, helping all stakeholders examine the projected success of a particular program. It’s difficult to actively compare the cost of this service with that of other packages we have reviewed in this category as the pricing system is based entirely on the needs of individual clients. While this does result in a tailored package that is suited to the specific needs of your business, it does make it difficult to see whether your package represents good value for money. Although Hit Path describe their pricing structure as competitive (and certainly good if you are a small organization or you’re only looking for certain features), it’s also worth checking out other software packages reviewed in this category to check you’re getting the best deal for your organization. Although Hit Path misses out on a higher spot in this category, partly because it’s difficult to assess the cost of the service and partly because those ranked higher are simply a little more popular, we still feel it has something to offer. Customers who are looking for a seamless, polished user experience and a software package that is ideally suited to an affiliate program which is gradually growing might well find everything they need here. Indeed, it’s the quality of this solution that is most impressive, so it’s certainly worth checking out. If, for whatever reason, you don’t find that Hit Path gives you what you’re looking for, then check out the other reviews in this category to find something that’s right for you.